The number one standalone news app in Africa now comes with live World Cup coverage and gives you the chance to win prizes by shaking your phone! 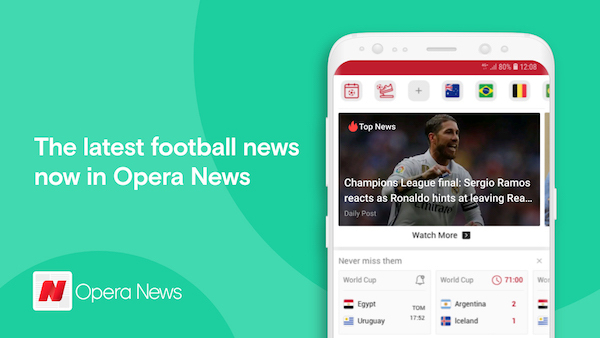 Opera News has been updated with loads of new features that let users experience the football World Cup 2018. Football fans among Opera News users will now be able to choose their favorite team and follow all the updates of the competition with live scores and kickoff reminders for every match. Opera News makes it easier for its users to keep an eye on the latest results for all 64 World Cup matches with the new “Live” button. The button will display a table with real-time scores for every game from the group and knockout stages. In addition, kickoff reminders have been enabled for every match so that everyone is aware when their favorite teams are playing. These reminders are shown in the app via push notifications and can be personalized based on your favorite teams. The “Follow” button now allows users to add their favorite teams to the tab on top of the screen. This tab displays the latest news about the chosen teams, as well as scores and fixtures for all 32 teams. Shake your phone to win! To celebrate the World Cup, Opera News is organizing a giveaway in partnership with Jumia, the largest online store in Africa. 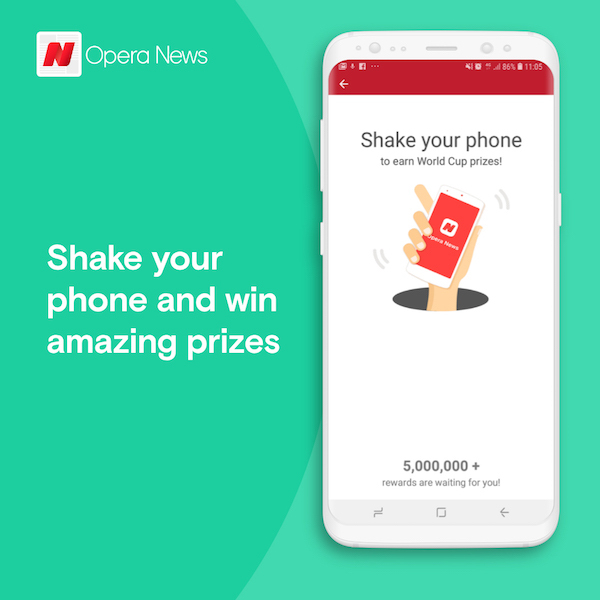 Users can win vouchers that can be exchanged for amazing prizes like, smartphones, TV’s, watches, games & consoles, airtime and data packages just by shaking their phones during World Cup matches when using Opera News.